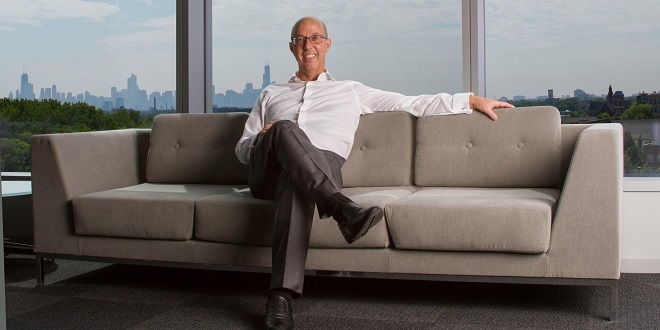 Having joined SBTech just three weeks ago, Gavin Isaacs has already set about using his 20 years of high-level gaming experience to bolster the company’s US presence. We spoke to Isaacs about how his experience with Scientific Games, Bally and SHFL Entertainment can be translated into success for his new employers, what convinced him to join the SBTech project, and where he sees the biggest growth opportunity for the company. SBC: We understand you were approached by several companies after leaving Scientific Games. What convinced you to join the SBTech project? GI: I had run several large land-based gaming companies and asked myself whether I wanted to do it again. After a great deal of thought, I felt that I needed to look to the future and assess where I could make an impact within an area where I believe the industry is heading, and that is online with sports initially being the main driver. I went to ICE last year and saw everything that was on offer, but I was really impressed with SBTech’s technology, it’s people and senior management team, its approach and fast moving, aggressive expansion plans. I then met with the founder and we shared a common view of the future, of the industry and the business, and it was a very easy decision to make. The industry landscape today is changing faster than ever, and the future is very much online. You shouldn’t underestimate the big suppliers on the land-based side as they’re going to play a significant role in shaping how things evolve, but there are some great companies out there such as SBTech that have already made huge progress in all the key regulated markets, and that are going to continue to make huge inroads across new and emerging jurisdictions such as the US; an area where I have significant expertise from my time with Scientific Games, Bally and SHFL Entertainment and where I feel I can really add value. SBC: What can you bring with you from your time with Bally and Scientific Games to enhance what is already a hugely successful global business? GI: This is a non-executive role, but I don’t intend to sit back. The first thing I’ve done is to travel to all the SBTech offices in Bulgaria, Tel Aviv, Kiev and finishing in London to meet with various executives and teams to understand the products more so I can then sit down with the rest of the management team to help shape the business’s strategy. I’ll be using my previous experience to help the company navigate regulated markets, in particular the US, regulated US states and those states that are considering opening in the coming months and years. My extensive global contacts are going to be a significant advantage, while I’ll also help to mentor teams and make sure we’re doing the right thing and approach things in the right way. SBC: What do you hope SBTech can achieve in the US this year? And where do you see the biggest growth opportunity for the company? GI: The company entered the US very early on, as soon as the Paspa legislation was repealed. It has signed several significant strategic partnerships with brands in New Jersey and Mississippi and it has several others in the pipeline ready to announce. The potential is huge, and SBTech is investing significantly in its technology and infrastructure on the ground to enable it to maximise this long-term opportunity. Being based in Las Vegas and having worked here for several years across many of the industry’s largest suppliers I will be able to use my knowledge of the US market to support and grow the company’s US expansion. There are lots of ways to expand the business and we haven’t sat down to discuss this yet. These are kinds of things we’ll talk about and we will explore all the possibilities. I’ve run different size companies in America and from my experience we need to put in place the right infrastructure and support systems and personnel, ensure we have the right licences which is key in the States, and we must be very committed which SBTech is and has been from the get-go. We must also pick the targets and make the right strategic moves. 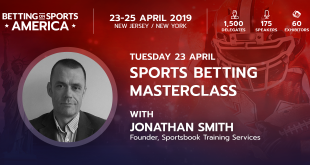 SBC: How do you set about shaping the sportsbook platform to enable SBTech’s partners to rival the early sports betting pace setters in New Jersey? GI: These are early days for me so I can’t comment on specifics but the offerings I’ve seen living and working in Vegas have not been up to scratch. There is still a long way to go. You must bring the market with you and we need to recognise that it won’t change overnight. It’s been a very good start, with impressive initial figures coming from New Jersey that has gone the whole hog and regulated internet gaming which I think is the right decision. It won’t be long before other states open and, once we see that, there will be a wave. SBTech is perfectly positioned to take advantage of stateside expansion with its proven track record of success across more than 20 regulated territories and a highly flexible product offering that can be tailored and localised to any market. 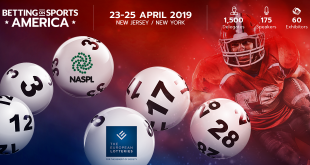 SBTech will be exhibiting at Betting on Sports America from 23-25 April in New Jersey / New York. 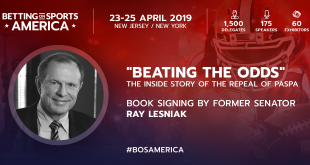 Betting on Sports America is the largest sports betting conference & exhibition, present ing175 leading industry speakers across 40 sessions and three conference rooms. The 61,000 sq ft large exhibition will bring delegates 60 exhibitors, world class hospitality and the very best networking and business opportunities.